and thanks for visiting our website. 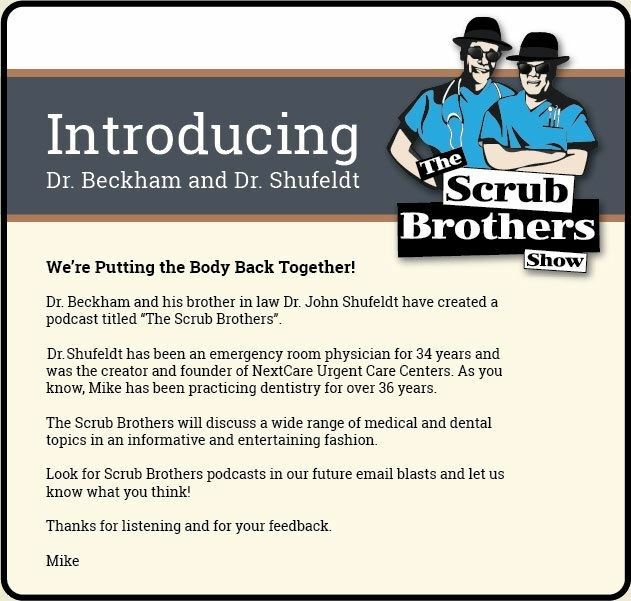 My name is Mike Beckham and I have been a dentist here in Phoenix for the past thirty-five years. I'm the luckiest guy you'll find. I've got a great wife and family, and absolutely love being a dentist. My father told us you'll find out everything you need to know about a person by working with them. This statement could not be more true. My work experience as a youth and young adult allowed me to befriend a cross-section of our population that I would not otherwise have had the pleasure of knowing. I'm truly grateful for that opportunity. Dr. Beckham's family rule growing up was that he had to work or play sports. He played high school football and, in the summer months during high school and college, worked at factories on the south side of Chicago. After graduating from high school, Dr. Beckham attended the University of Arizona for his undergraduate degree. He went back home to Illinois to attend dental school at the University of Illinois before moving to Phoenix in 1981, where he was an associate dentist for two years. Dr. Beckham decided to start his own practice after watching patient after patient not get the care and service they deserved. 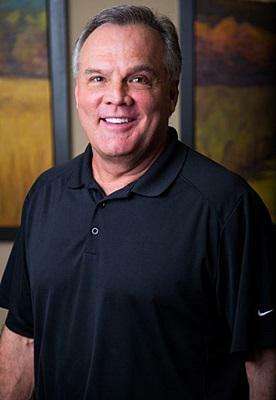 After 25 years, he sold his practice and started Beckham Dental here in Cave Creek. One of the most rewarding parts of his job is when he is able to take a patient who has been treated poorly in the past and give them the dental care they deserve. When he cares for these people, restores them back to function, and provides them with a beautiful new smile, it is life-changing for both him and the patients. Dr. Beckham has been married to his wife, Reneé, for the past 20 years. They have two sons: Their older son works as a water resource manager, and their younger son is a sophomore at Northern Arizona University. They have three cattle dogs who love to chase tennis balls outside and a 20-year-old African Grey Parrot named Joey, whose favorite activity is riding on the handlebars of Dr. Beckham's bike. Dr. Beckham's other interests include hiking, running, and hanging out in Cave Creek. Since graduating from dental school in 1981, I have taken countless hours of continuing education in all facets of dentistry. Most years, I have recorded two to three times the number of hours required by the state board. This, combined with over twenty-nine years of clinical practice experience, affords me the opportunity to provide cutting edge, top quality dental services to you and your family. Beckham Dentistry provides the best dental care I have ever had. Beckham is super-knowledgeable and personable and his staff is superlative. I have recommended this dentist to freinds. I have known Dr. Beckham for years. In my opinion, he is one of the most gentle dentists I have known. HIGHLY recommended.